As I mentioned in my pattern drafting post, drafting is pretty time consuming, and also brain power zapping, so in the middle of it all I took some breaks to make some easy projects. All of them happen to be patterns from Tilly And The Buttons, and I thought it would be a good idea to put them all into one post. First of all is the Picnic Blanket Skirt. This is my third version (I have previously made one for me, and one for my sister). I made this at the end of July when the weather was really hot. The temperature was in the high 20s C, which I appreciate is lovely for most folks, but I struggle a bit in that heat, and it was lovely to have such a loose, cool skirt to wear. I used some lovely light denim chambray from Calico Laine. This fabric is gorgeous, and I will definately be buying some more for next summer. I used some leftover fabric from my Belladolly dress for the waist band facing and pockets. The eagle-eyed amongst you may notice that I put the buttonholes on the right hand side of the placket instead of the left - I didn't notice for ages! 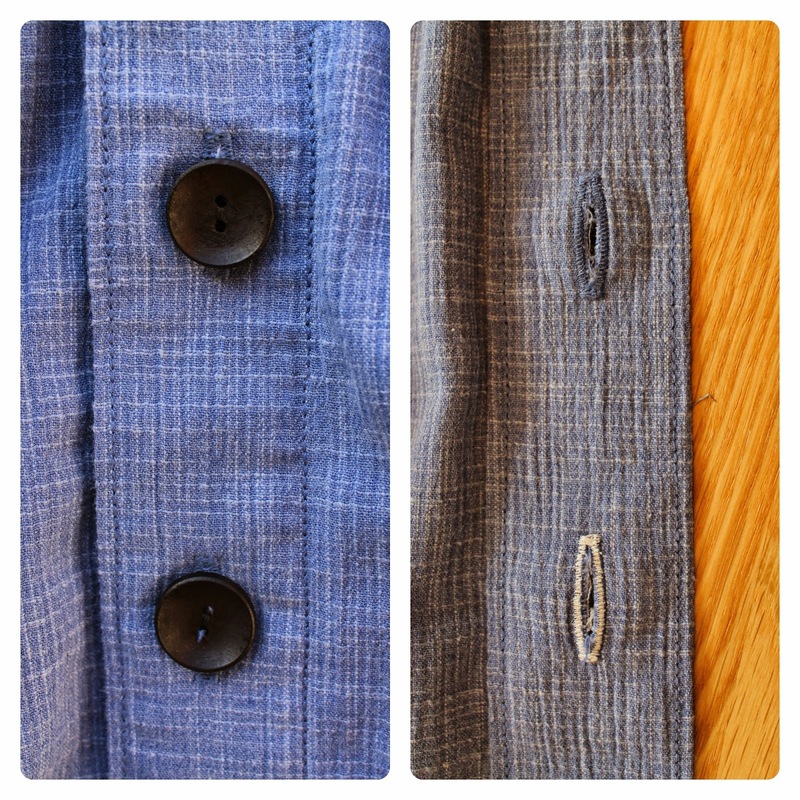 I love the brown wooden buttons that I got on ebay, and also my very neat triple-stitch topstitching, which I also did around the waistband. That cavalier use of thread lead to a problem with the last two buttonholes, as I was running out of thread fast! Naturally I wanted to finish my skirt right then, and didn't want to have to go and buy more thread, so I used cream thread in the bobbin, and it doesn't show through on the top at all. Result! Next is the Margot pyjama bottoms from Love At First Stitch. I didn't buy this book when it came out because I have so many crafting books that I thought I didn't need another one. Turns out I was wrong! This book is brilliant, and I wish it had been around when I first started sewing. Also, all the patterns are lovely, and I want to make every one of them. I also added a pocket on the back, because why not! My Mum and Dad called at my house when I was taking these photos, and I happened to be wearing these jammie bottoms at the time. Mummy said they were lovely, and Daddy asked me when I was getting out of prison! Dad jokes: sigh! Finally, I made the Clemence Skirt. There's isn't a pattern for this in the book, instead it tells you how to make the pattern from your measurements. It's really easy, one big rectangle for the front, two smaller ones for the back, and two waistbands. I didn't even bother making a paper pattern, I just marked it out on the fabric. and here's what the gathers looked like. Again, sorry for the blurred photo; I'll get the hang of using my camera one of these days! Once the waistband was attached it was really easy to pull the gathering stitches out. I love a gathered waistband, but have never loved unpicking the gathering stitches. I also added some pockets in the side seams. I used this tutorial on making french seams with side seam pockets, and this tutorial on french seams below an invisible zip. Both worked perfectly. In other news, Ruth from Core Couture contacted me to see if I would be interested in a Belfast crafting meet-up. Naturally I said yes - no dates have been arranged yet, but Ruth and I are both asking on our blogs if anybody would be interested in meeting. You don't have to be a blogger or a sewist, any kind of crafting is in. If you are interested, please email me - click on the About/Contact Me tab at the top for my email, or click on the email symbol at the top right. You can also contact Ruth through her blog here. Great makes! I french seam everything so going to check out these tutorials! Thank you! I'm usually all for whizzing seams through the overlocker, but I just felt the need for french seams on this skirt, and I really wanted to give the french seamed pockets a try. I love those pyjama bottoms. I must check out the book they are from as I could do with a book for beginners! Thank you! The pyjama bottoms are sooo comfy, and I've worn them a lot. 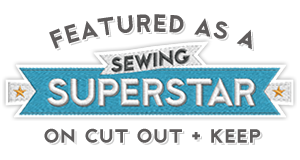 This book is brilliant for beginners, but also for more experienced sewists too. There's always something new to learn! Thank you! I'm so glad I bought this book, and was thinking about fabric for another pair if Margot's last night. That gathering technique is brilliant!! Why have I never seen that one before?? All three pieces look fantastic! Thank you! I'm glad that I'm not the only person who didn't know this! I can't get over how much easier it was to do the gathers. Love the Tilly Trio. I think the Clemence skirt is my fave (it has dots! ), but I have to say they all look amazing. 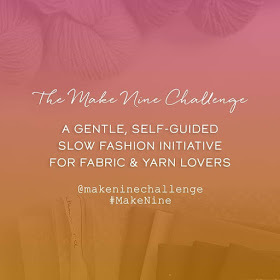 I too want to make all the patterns from Love at first stitch. And after seeing this post I'm somewhat tempted to try making the Margot PJ bottoms in a knit as the look supersuper comfy. Thank you! I was delighted with how well they turned out in the knit fabric, especially as I don't have much experience with knits. Thank you! Ah, Dad jokes - always guaranteed to make me roll my eyes! Lovely creations - all of them them! And your extra touches make them your own. BTW, my little niece (5) loves your hair colour. Thank you! And please tell your niece thank you, she has great taste! Lovely makes! Haven't made any of Tillys patterns so far, but maybe I should! Thank you! Tilly's patterns are all so lovely, it hard to know where to start! You look so cute in full skirts! Love both of them on you. Thank you! I'm so pleased with how those skirts turned out. You HAVE been busy Lynne, haven't you! Love all three makes, all quite different looks, but they all suit you so well. I didn't know that trick about changing the tension for gathering, I shall have to check it out. I have Love at First Stitch, but haven't made anything from it - but want to make pretty much everything as I really like the look of the patterns! Thank you! I'm so glad you didn't know the gathering tip either! I thought it was some sewing thing that absolutely everybody did, and I was the odd one out! Aren't all the Love At First Stitch patterns gorgeous? I really can't decide which one to make next. 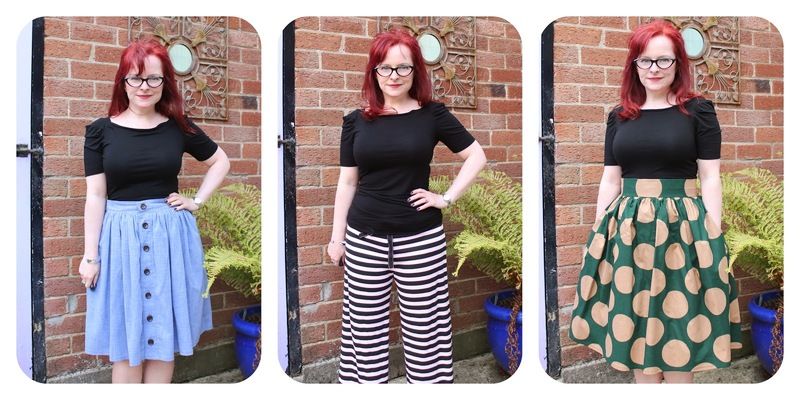 They all look brilliant Lynne - I especially like the PJs and your Clemence skirt. I've seen so many lovely makes popping up out of Tilly's book that I have to say I'm very tempted myself. Thank you! It's a great book, and I love the Coco pattern too. I'm planning to make some more of them. Lynne, all your makes a great. But the Clemence skirt is fabulous. The colour suits you so well. Thank you! The Clemence skirt was really easy to make too, which is always a winner! I love that wax cotton print! What a find. It's perfect for the skirt. I didn't know the trick about turning down the tension. I'll have to try it! I've always hated removing gathering stitches, too. Thank you! I turned the tension right down to zero, and honesty, it was a breeze to remove the gathering stitches.